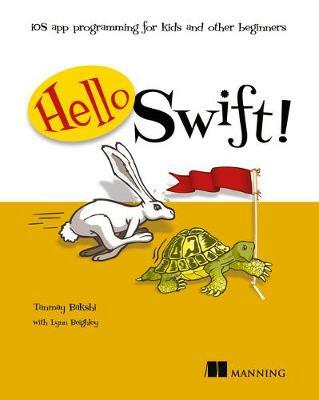 Bakshi provides an approachable, well-illustrated, step-by-step guide that teaches young readers how to program using the Swift language while they develop iOS apps. The author presents readers with a how-to guide to creating their first simple app, written from a kid's perspecti... read full description below. 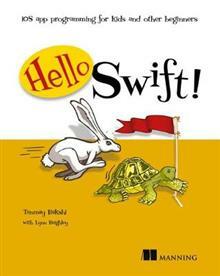 This book teaches young readers how to program using the Swift language while they develop iOS apps. Readers gain fundamental programming skills along the way. Hello Swift! is a how-to guide to programming iOS apps with the Swift language, written from a kid's perspective. This approachable, well-illustrated, step-by-step guide takes readers from very beginning programming concepts through creating complete apps. It begins by teaching the basics of what an app is and what is needed to build one. From there, readers will create their first simple app while learning more about programming with Swift. Readers conquer important programming concepts that can be used with other programming languages. Purchase of the print book includes a free eBook in PDF, Kindle, and ePub formats from Manning Publications. AUTHOR BIO Tanmay Bakshi began coding at the age of four and had his first app on the iOS App Store by the age of nine. He taught himself Swift when it was still in beta. He's excited about passing on his knowledge to other young and new programmers. Lynn Beighley is the author of more than a dozen programming and technical books, including the bestsellers Head First SQL and Head First PHP & MySQL.